I made a rule to not write about the negative in "My Favorite Thing s," but, I'm going to have to make an exception...I used to hate apples. Really, really hate them. Biting into and subsequently chewing an apple made my skin crawl, worse than any nails on any chalk boards. Worse than paper cuts, worse than the sound of someone sucking on clothing, worse than the worst joint pop in history. And now that I've successfully made myself and all of you excessively uncomfortable, here's the good news. Today, I love apples. A few years ago, I was presented with an apple and out of hunger, I put my stubborn issues behind and ate it. This time, just to be difficult, I avoided the skin. And wow, was it amazing! For years, I had been turning my nose at apples, not realizing it was because of their skin! Oh, had I only known. Since, I have eaten hundreds of apples. 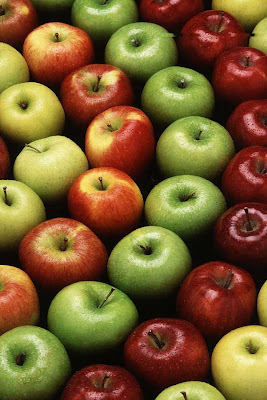 Galas, Pink Ladies, Red and Golden Delicious, Fujis, Granny Smiths...did you know that there are 7,500 varieties? That's a whole lotta cider. How does she do it, you may ask. Enter the vegetable (and in my case, fruit) peeler. A good peeler is like an open door welcoming you to meet all sorts of other food. Cucumbers, pears, persimmons...the list goes on. Foods that I had avoided or been forced to nibble around are now mine for the bountiful taking. And while everyone looks at me a little cockeyed the first time I whip out a rather industrial peeler, the end result is extreme enjoyment and in my opinion, a far more juicy experience. 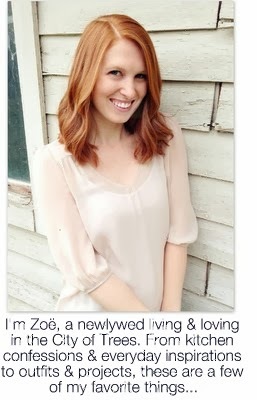 you're blog is like a perfectly picked pink lady amongst an orchard of rotten apples.